There is an audio recording software available inbuilt for windows OS, but nothing easily available for Mac OSX. And if you have to record something from your Apple Macbook, there is nothing for audio version, although if you are going to do a video recording, then there is an imovie app inbuilt. 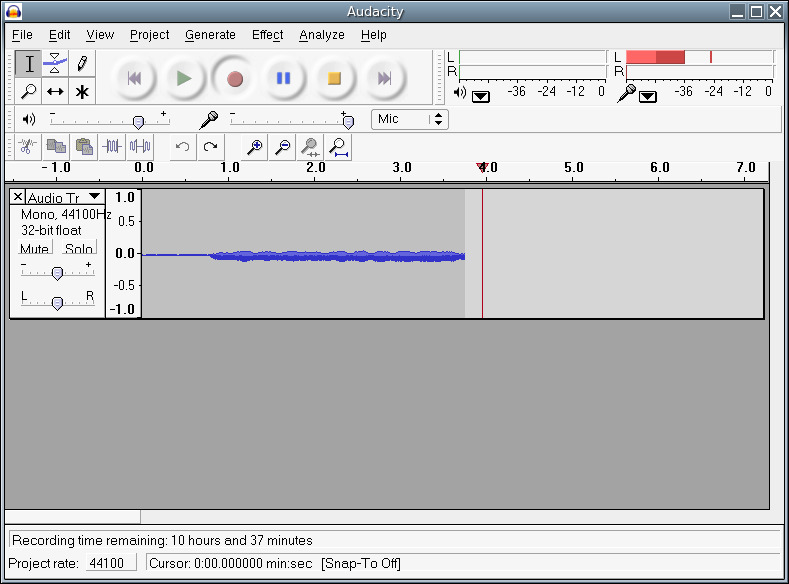 So, for people who are interested in audio recording through their macbook, this application Audacity would help out. Audacity is free, open source software for recording and editing sounds. The main thing about it is that it is not just available for Mac OS but people who are on other operating systems like Windows, Linux can also download and use it for free. Recording live audio with perfect quality. Conversion of tapes and other recordings into digital recordings. Editing sound sources like mp3, wav etc. Mixing and cutting of sounds. Changes the speed and pitch of the recording sounds. Compressor, Amplify, and Normalize effects to change and adjust the sound volumes. Recording 16-bit, 24-bit, and 32-bit sound samples. These aren’t less features! Isn’t it? Where do i download audacity? Audacity is a free to download mac application. You can download it by clicking on the download icon. It is a .dmg file that installs directly after you download it. It requires Mac OSX 9.0 or later for installation. Do you know any such great windows based software ? I am looking for the best software to make screen videos … so I can record my screen while I talk, and It needs to be free. Because I see this really good software but it is 300..
let me know if you come across some thing which is really good. I recently got a Macbook and this has been bugging me for a while. I wish I found your post earlier! Thank goodness there’s a free app out there!